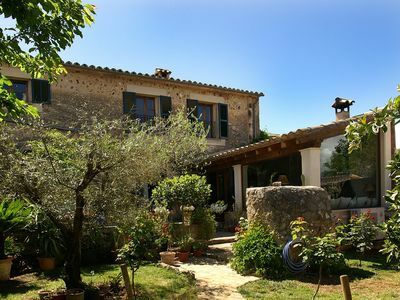 Club Villamar - Beautiful and comfortable family-friendly holiday villa for six people with a private swimming pool. Perfect to enjoy a wonderful holiday with the whole family. 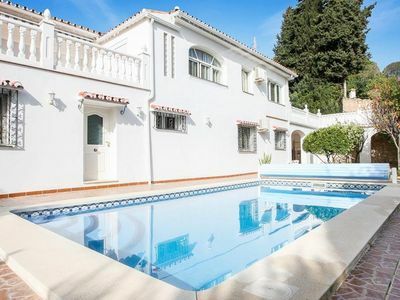 This typical Spanish three-bedroom villa can accommodate six people and has its own private pool plus beautiful views of the surrounding area. 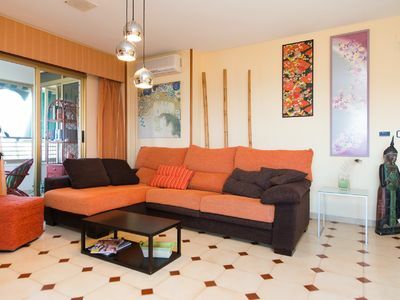 This comfortable villa is situated on a quiet street in a residential area with only residential traffic. Your car can be securely parked at the property. The ideal location, within easy reach of the pearly-white beach just 2.8 km away, and the always lively centre of Lloret with its variety of shops and restaurants just 200 to 400 metres away, makes Villa Yosemite the perfect holiday location for families with children. 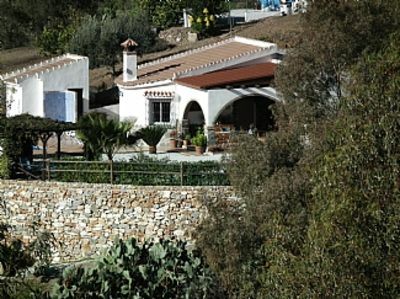 Villa Yosemite is a fully detached villa, situated above street level and with a total living space of 90 m2. The entrance to the property is situated on the first floor and is reached by a flight of steps. 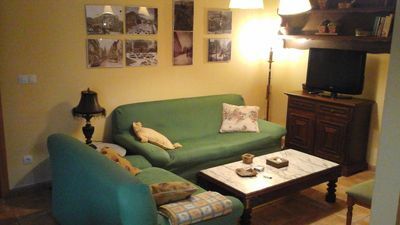 Here you will find a beautiful, fully furnished living room with two comfortably upholstered sofas, a flat-screen satellite TV, dining table for six people and access to the balcony. The modern, fully equipped kitchen has everything you might need during your self-catering stay. On this floor, you will also find three bedrooms (one with a double bed, one with twin beds and one with a single bed with pull-out bed) as well as two bathrooms with bath or shower. 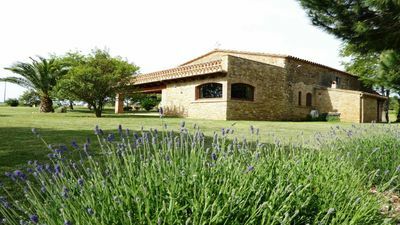 This well-maintained holiday villa enjoys plenty of sunlight and the practical Spanish layout is complemented by a cosy ambience. The picture is completed by free Wi-Fi in this comfortable villa. 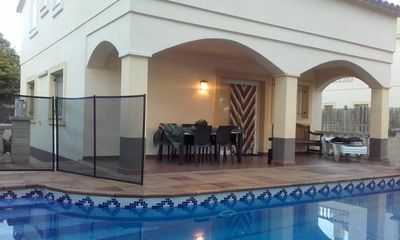 At the side of the villa, you will find the lovely private swimming pool with beautiful views over the surrounding area. Sun loungers surround the swimming pool and invite you to relax with a good book or a glass of wine while the kids are splashing about in the pool. In the evenings, the seating areas on the beautiful terraces are perfect for al fresco dinners prepared on the built-in stone BBQ at the property. 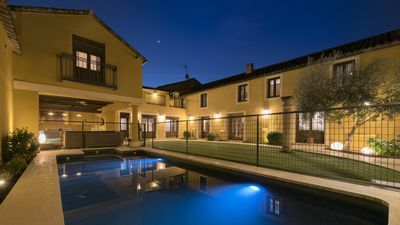 Villa Yosemite is perfect for families with children who would like to enjoy beautiful, sunny Spain in cosy and relaxed surroundings, so do not delay, book your perfect holiday today! The cosmopolitan resort of Lloret is known throughout Europe for its vibrant nightlife. Lloret is located only 80 kilometres from the Catalan capital Barcelona. Lloret originated from a pre-Roman settlement, which can even today still be visited. 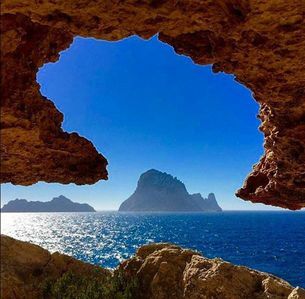 The main attractions are the church of San Roma, Sant Joan’s Castle and several hermit chapels. Traditionally Lloret de Mar was closely linked to shipbuilding and fishing, as is the picturesque town of Tossa de Mar situated 11 kilometres away but in the mid-20th century tourism became the focus. This created an excellent mix between the atmosphere of the old historic city centre with its many shopping streets, and the contemporary active night life with its many pubs and clubs. The beautiful botanical gardens of Marimutra, located in Blanes, where you can find more than 3000 plant species, are very much worth a visit. Also situated just 15 kilometres from Lloret is the lovely, typically Catalan town of Vidreres. 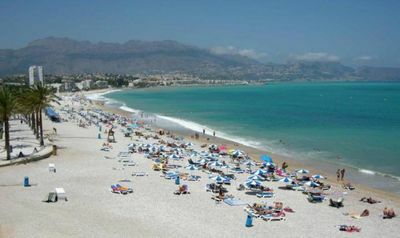 Vidreres is still unspoilt by mass tourism and therefore you can still really mingle with the Spanish population here. The wide sandy beaches of Lloret offer many opportunities to enjoy water sport activities. The convenient location of Lloret, together with the many available activities, including a visit to the golf courses, the water park, the dolphinarium, riding schools and sports centres will ensure an unforgettable holiday. ANALOG AND BEACH HOUSE PRIVATE POOL for a perfect holiday !! 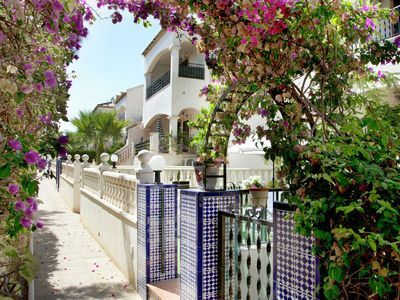 3 Bedrooms Large apartment ,beach at 250m, swimming pool WIFI internet, UK TV.